Kingston, Ont. 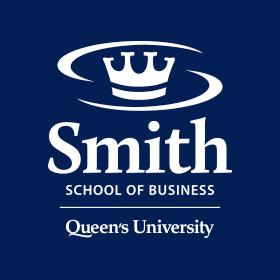 – Smith School of Business associate professor Ryan Riordan is being given this year’s Bank of Canada Governor’s Award. The Governor’s Award is a research grant that goes to academics who study areas that the Bank of Canada deems important. The grant is worth up to $30,000 a year over two years. Riordan, who is also Distinguished Professor of Finance at Smith, said he is delighted to receive the award. While central banks tend to focus on the economy as a whole, his studies delve into the behaviour of individual traders, investors, lenders, borrowers and firms. “So this award is a confirmation that our research is important to the overall economy,” he said. Riordan intends to use the grant to further his research in two areas: the use and misuse of technologies in banking and financial markets; and climate change. On climate change, Riordan has teamed up with colleagues from the University of Augsburg in Germany to study how financial markets have responded to the transition to a green economy. They’ve developed a methodology to measure the carbon risk of companies and countries. In November, Riordan received Smith’s Research Excellence Award. The annual prize recognizes outstanding research by faculty at the school.